EPWORTH legislator Zalerah Makari (Zanu PF) was on Tuesday reportedly pelted with stones and forced to abandon a Local Government ministry meeting she was addressing in the constituency. 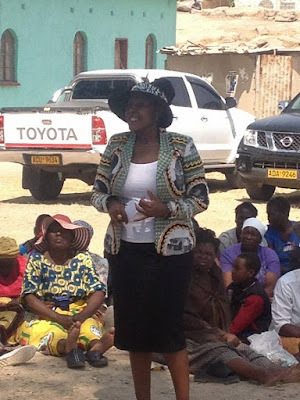 Makari confirmed the incident yesterday and accused her Zanu PF rivals of hiring a mob to assault and intimidate her so that she does not contest in the party’s primary elections set to take place soon ahead of general elections later this year. “If people have support, why resort to violence now? Why not just wait for primary elections and then we compete in a dignified and respectful manner without fighting each other. I thank God that I survived the attack,” she said. She accused some party youth league leaders of allegedly inciting party activists to attack her. It is understood Kudakwashe Damson is reportedly eyeing the Epworth seat.